Your vision, your drive, and your spirit have successfully gotten you to where you are at. We admire your accomplishments and the fact that you are now where you are at. Now would you mind if we asked you to share your story for one morning or one afternoon to the next generation version of yourself? in somebodies life and you might be the change that changes them. 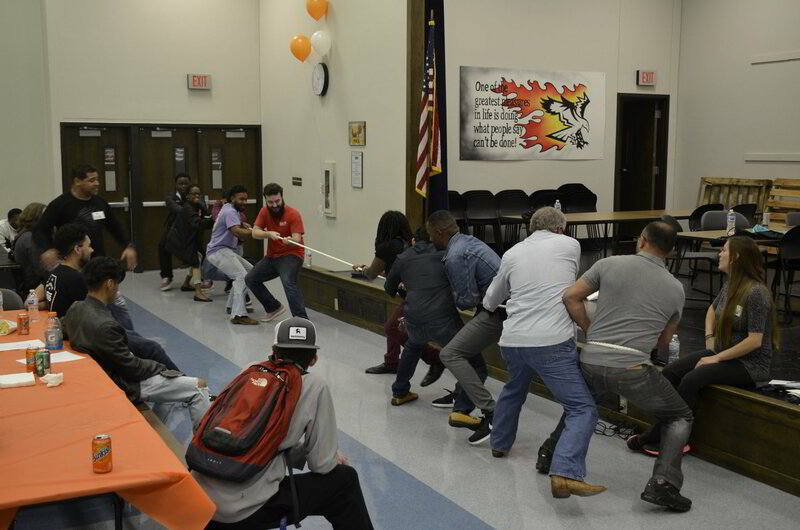 Leadership Connection takes the most innovative, creative and leading minds of the metroplex and creates mastermind alliances with tomorrow's leaders. I was able to see a tangible hope in the many students I was able to share with which also increased the hope inside of my own heart. I am excited to be a part of an organization that truly touches lives. The kids were great and really respectful. I believe that I got more out of the day than anyone. Thanks for including me. LEADERSHIP CONNECTION really was a great time. Some answers you just can’t Google. Sometimes we need some ONE to show us how to be strong. Strong for ourselves, for future families and for the future of our country and the world. It is not enough to merely survive but we must teach others to survive as well if we are ever going to reach our potential as a community... actually they are surviving, let's do better and teach them to thrive.